Robex Lundgren - interview with Elysium. Have any of you played in other bands? Yes, every member of Elysium, before playing in this project, played in other bands and some of us still do! Marco, the bass player, played in an italian prog/metal band called “Gerico” , Christian, the violinist, plays in an irish/folk band called “La Tresca” and our front woman Daphne sings in a vocal quartet called “Baraonna”. What are your names? / Who plays what? / How old are you? We are six in the band: Daphne Nisi, on voice, Simone Moratto on guitars, Christian Arlechino on violin, Marco Monetini on bass, Flavio Lovisa on drum and for our coming record we have Silvia Vazzola and Marco Sinopoli on keyboard. Age? From 25 to 47! Did you make music even when you were young? Yes! Most of us started playing when we were kids or teens. Where are you from? We all come from Italy, specifically from the center of Italy! Marco, Christian and Flavio come from Orvieto, a small city placed among Umbria’s hills. Daphne, Silvia and Marco come from Rome and Simone from Piombino, Tuscany. What year did the band form? The project was thought by Marco as he started to compose some of our songs and on may 2015 the project saw the light. When all the members were chosen, we started to rehearse and continued to compose the songs together. What's your style of genre? Nice question! Different people and journalist listened to our first EP “Symphony of A Forest” and they found it hard to categorize our music. I myself find it hard to categorize us and maybe I don’t even want to, but I can tell you what the other people feel when they listen to our music. There is primarily a rock sound that goes to metal sometimes but after this first impression you will immediately realize that there is something more: the rock and metal sound is not so hard, and it doesn't cover the progressive part; if you keep listening the violin will take you sometimes to the Celtic world and, with the keyboard’s sounds, everything melts into a symphonic and gothic atmosphere. But behind everything there is also a pop music side that helps you (and us) to stay focus on the song! What inspires you? So many things are inspiring in life that are worth to become music: people, stories, nature, sad or happy experiences, feelings, books, movies, questions..
How often and where do you reherse? In the beginning we rehearsed one time a week for at least 6 hours because we needed to arrange the songs and most of all because we needed to “musically” meet each other and understand our way to play together. We rehearsed in Bolsena (a city near Orvieto) and in Rome but then we decided that the sound in Rome was much better. We also use to work separately at home and then send parts of songs to each other to create new stuff before we rehearse. Are you looking for a booking agency, and what are your thoughts around that? We now work with our manager, Monica Atzei, but we are also interested in collaborating with a booking agency..the best would be outside from Italy..to have the opportunity to go abroad! Are you looking for a label, and what are your thoughts around that? We signed with LionMusic of guitarist Lars Mattson for our upcoming Cd. For us it is a great pleasure to work with him! The human being is such a complex universe, every one is so different by language, mentality, character and culture..but then in the end what is it that makes us so unite if not feelings and relationships? “Labyrinth of fallen angels” is a journey in the deepest part of our mind and soul inspired by Ulisse’s Odyssey. Like Ulisse experiences every kind of adventure, dangerous and amazing ones, falls in love, faces death of beloved ones, has to win challenging temptations and finally comes back home and reunites with his family, we are going through our lives, our complex inner universe and relationships and we all can learn from each experience, even the worse! What made you decide to make this music? We believe that the symphonic, gothic and celtic music is very evocative, almost magical. This specific kind of harmony and melody can bring you to a not really defined past, into a world placed between fantasy and reality and we didn't find this same feeling in the classic rock music or other music genres. Most of the songs are composed by Marco, the bass player, who writes chords and finds the mood of the song, and by Daphne, the singer, who composes the melodies and also writes the lyrics. Not less important are the riffs created by Simone, the guitar player, all the changes in rhythm during the songs applied by Flavio, the drummer, and of course the voicing of the piano and keyboards complete and fulfill the arrangements! What are your songs about? For this particular album first we wrote the music and then the lyrics, but it always depends from song to song. Do you compose in a certain inviroment? Not yet, but we’re arranging some! What language do you sing in? English for now, but who knows! What are the least and most people to attend one of your gigs? We travel most of the time from place to place. What ages are most of your concert attendants? Very exciting..we didn't know how people would react to our music, but when everybody started taking videos of our songs, well that was a great feeling! What was your first gig like? We played in different places in Italy: we had a concert in Foligno at the Rockeggiando Metal Fest, in Alatri at the Satyricon Music Club. Then we played a few dates in the north, one in Milan during the FIM (Italian Music Festival) at the Auditorium Testori and in Travesio at the Metaltrave Festival with other great bands! How do you get psyched for a gig? For certain we will do a Cd release in Rome and in other cities in Italy and we hope ther will come more also abroad! Do you have any new material? We are now working on many items, like t-shirts, posters, jewels, phone covers and much more stuff! How can people reach you? 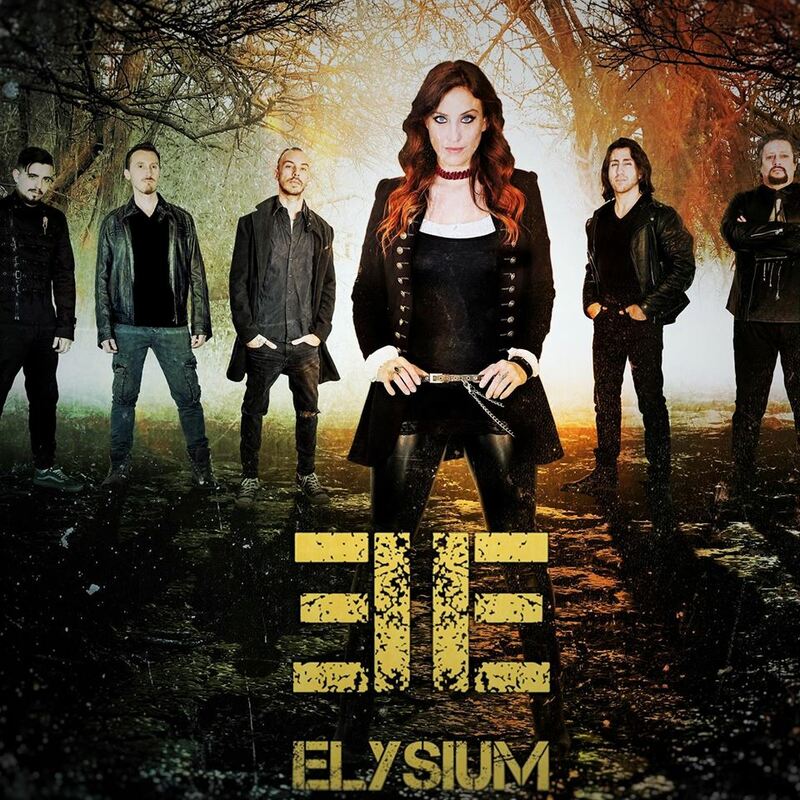 You can find us on Facebook, Instagram, YouTube and website..just look for “Elysiumgothic band” ! Do you have something to add? Thank you soooo much for this interview! We hope to meet again after the upcoming album will be released!